Freedom from the Government is an important component of freedom. If you are in jail, paying high taxes, or buried in red tape, you are not very free. But is this all there is to freedom? Does libertarianism maximize liberty? The answer is a definite “No.” Take libertarian thinking to its logical conclusion and you end up with no government. While government is expensive and burdensome even at its best, complete lack of government is usually far worse: civil wars, warlords, blood feuds, pillaging gangs, and/or foreign conquest. Lack of government nearly always leads to a new government. Look at a map of the world. Where are the habitable areas not under the jurisdiction of a government? Some libertarians spout that “government doesn’t produce anything.” Nonsense! Governments produce law and order. These are incredibly valuable services. And the more wealth you have, the more valuable these services become. When Rome ruled Western Europe, the rich bought palaces and pleasure slaves. After Rome fell, the rich had to settle for castles and henchmen. Without a mature legal system, the modern day corporation is impossible. During the Middle Ages, the only corporations were religious orders. Unlike cars, appliances, and hamburgers, it is extremely difficult to have a market for national defense. If I pay for a missile defense system to protect my home, my neighbors benefit whether they pay me or not. Without taxation, there is theft. If too few people volunteer to help with national defense, then a conqueror will show up at some point. Zero taxes lead to higher taxes, and worse. Once upon a time, I tried to slightly broaden the definition of the word libertarian to: “a libertarian is someone who wants to minimize the initiation of force.” Such a definition would include both those who believe that some taxation is necessary for law and order and those who believe that competing corporations could provide such services on the open market. My proposal produced much wailing and gnashing of teeth. I was accused of being corrupted by activism. I was told that it was more important to seek “truth” than to seek actual freedom in the real world. The libertarian movement, including the party, has long been led by people who value philosophical consistency more than they value freedom. 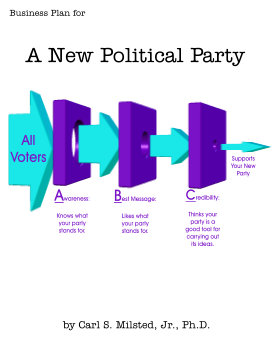 The Libertarian Party is the Party of Truculent Philosophers. Philosophical libertarianism is more consistent than most forms of socialism, conservatism, or fascism. But it still has internal contradictions if you follow its logic to the bitter end. If you truly own a house, you can sell it. The same holds for your car, your watch and your stamp collection. Why can't you sell yourself? If we took the libertarian concept of self-ownership to its logical extreme, you could! Extremism in the definition of liberty leads to legal slavery! Granted, such self-selling was partly out of desperation, so we should expect less as society becomes wealthier. But keep in mind that billions of people around the world are still desperately poor, so legal self-selling would today result in a huge slave trade. And then there is the stupid factor. People don't read contracts as carefully as they should. Do you read your end user license agreements in full each time you get a software update? Should you be held responsible if the agreement included a 5-year indenture buried in the legalese? And some people will sell off their liberty when drunk, under peer pressure, or other states of transitory stupidity. There is historical precedent. Free Germans often ended up as Roman slaves from a bad roll of the dice. This question is, how far do we take this line of logic? For example, some would argue that crack addiction is a form of slavery, and the behavior of some crack and cocaine addicts bears this out. But do we apply the same logic to marijuana? To tobacco? Gambling? Margarine? Sugar? Television? What about beartrap contracts? Mortgage sellers who offer no money down, interest-only payments for a year at a teaser rate, followed by high interest rates and ridiculous penalties on the back end? What of credit cards which double your interest rate because you missed a payment to someone else? What of car dealers who apply cult-like peer social pressure to get you to buy? What of cults? Humans are social animals. We are not the "rational animals" posited by Ayn Rand, and we don't have neatly ordered preferences assumed by those of the Austrian School of economics. Peer pressure and stimulus response are part of our makeup. It could well be that some regulation of the gambling and credit industries result in a net increase in freedom. And the same may hold for buyer's remorse laws. But keep going down this road and I will side with the libertarians. Take away all responsibility and you take away all freedom. If you don’t hold people accountable for their contracts, then they lose the benefits of being able to enter into contracts. Without the ability to take responsibility, you lose your freedom to drink unpasteurized milk; choose your own mix of herbal or vitamin supplements; give birth to your child at home using a midwife; or play Lawn Darts. Suppose we water down the libertarian vision enough to drop the stupid parts. Suppose we call for just enough government to provide security and the rule of law. Suppose we even strike a balance between self-responsibility and protection of the (momentarily) stupid. Have we maximized freedom? I think back to a time when I was dining at a cheap barbecue restaurant. My waitress was quite tired. She had to work double shifts in order to pay off some medical bills. A liberal politician offering “free” health care in return for higher taxes on the rich would be offering a woman in her predicament a huge boost in freedom: Freedom from the Boss. The purist branch of libertarianism starts with the premise that any initiation of force is unacceptable and builds from there. 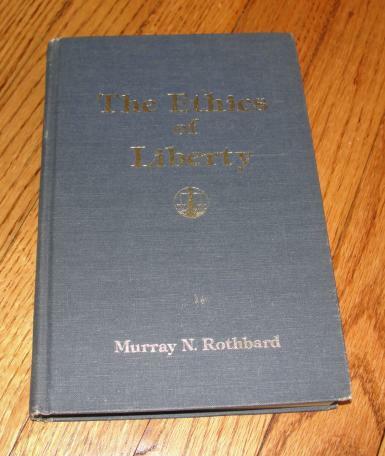 Murray Rothbard is perhaps the most followed thinker of this philosophy. I used to be a follower myself until I finally saw the holes in his arguments. 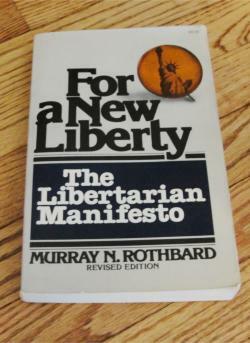 Way back when I first joined the Libertarian Party, this book was the manifesto of libertarianism. It takes a classical natural rights approach to liberty, which leaves little, if any, role for government. In The Ethics of Liberty, Rothbard attempts to build up an entire legal system from the non-initiation of force axiom. The idea was to be the foundation for rule of law without the need for having a government. Once upon a time, I thought he had it almost right -- though I had reservations about his rule for first ownership of land. (His rule made it impossible to own virgin timber. So much for nature!) I have since realized that there are more bugs. It is still worth reading as long as you keep in mind that this is a first crack, not a bible. 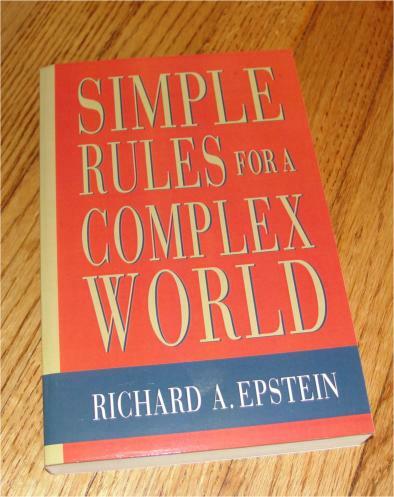 Law professor Richard Epstein adds a few axioms to Rothbard's in order to fill in some holes. A much more robust axiomatic legal framework is the result. Compatible with having some government, BTW. 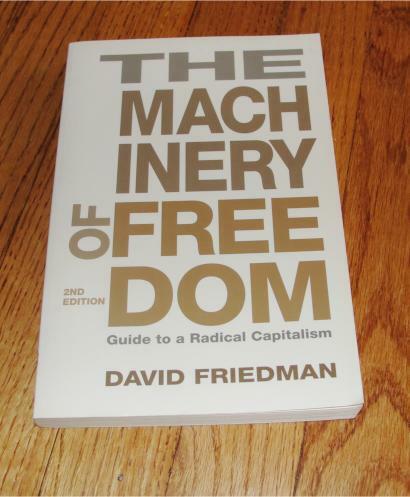 Many libertarians reject this work as too impure. Finally, a bit of anarchy from a more respected writer: Winston Churchill. In the first volume of his "History of the English Speaking Peoples" he ascribes to the Anglo-Saxons a competitive system of personal defenders similar to what modern anarcho-capitalists advocate. Feudalism didn't come to England until William the Conqueror.